While chanting the Hare Krsna mantra in Benapola, Haridasa Thakura was personally tested by Mayadevi herself. After thus instructing the prostitute about the process of chanting the Hare Krsna mantra, Haridasa Thakura stood up and left, continuously chanting ‘Hari, Hari.’ Thereafter, the prostitute distributed to the brahmanas whatever household possessions she had, following the order of her spiritual master. 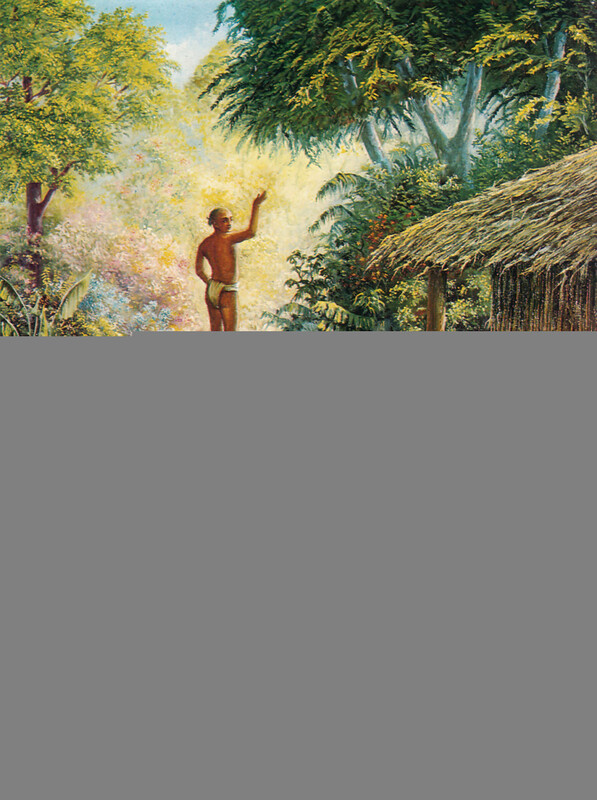 The prostitute shaved her head clean in accordance with Vaisnava principles and stayed in that room wearing only one cloth. Following in the footsteps of her spiritual master, she began chanting the Hare Krsna maha-mantra 300,000 times a day. She chanted throughout the entire day and night. She worshiped the tulasi plant, following in the footsteps of her spiritual master. Instead of eating regularly, she chewed whatever food she received as alms, and if nothing was supplied she would fast. Thus by eating frugally and fasting she conquered her senses, and as soon as her senses were controlled, symptoms of love of Godhead appeared in her person. 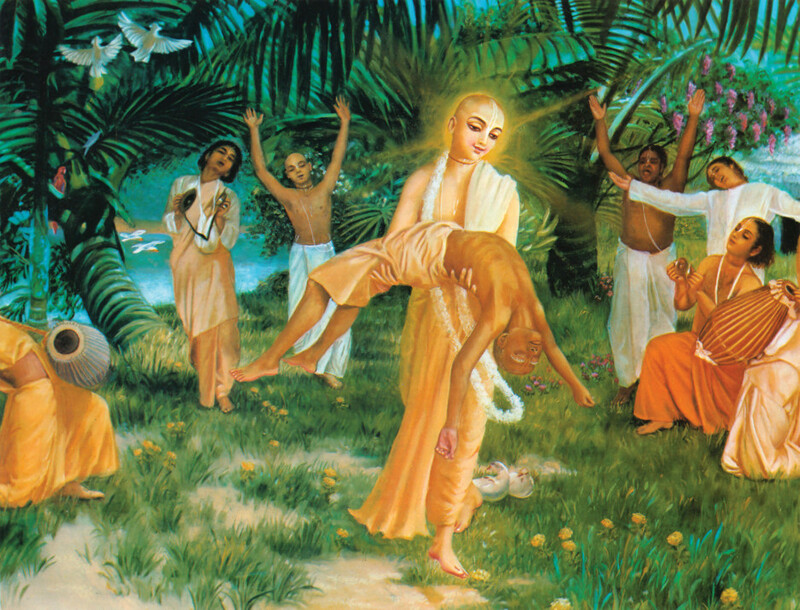 After the passing of Haridasa Thakura, Lord Caitanya took his body and danced with it in great ecstasy.